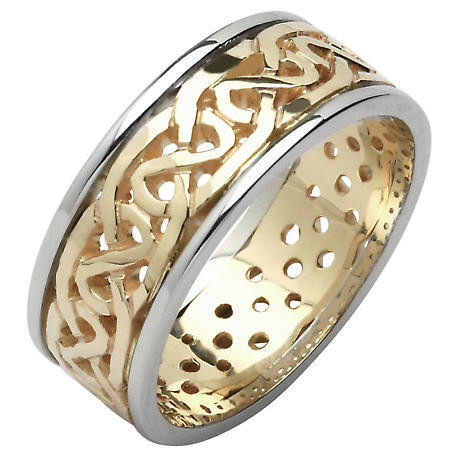 An exquisite Men's Irish Wedding Ring available in either Yellow or White Gold with gold trim and intricately patterned in Celtic knotwork. 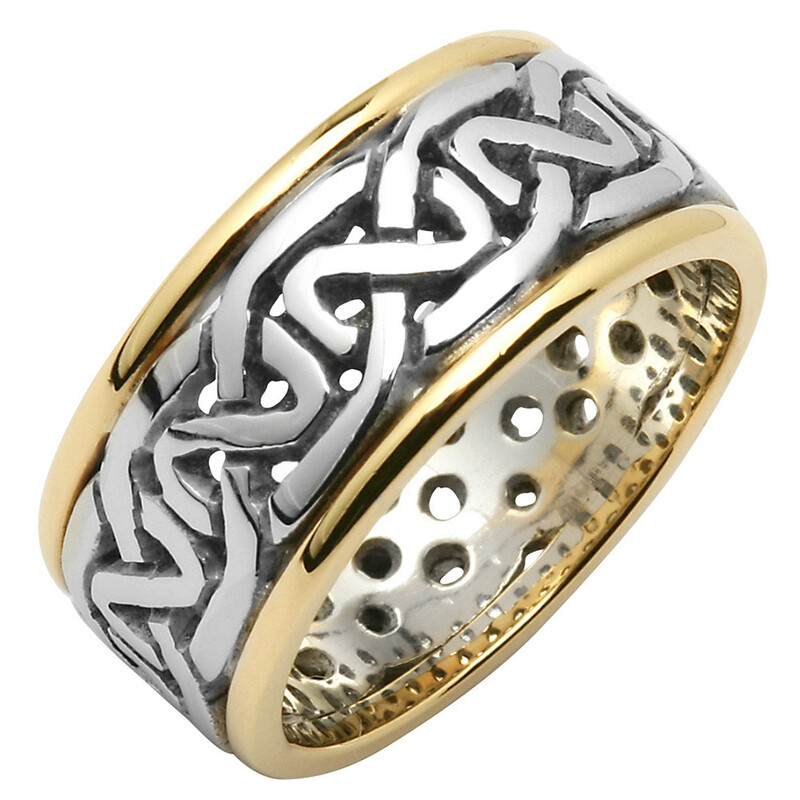 Made in Ireland by Fado and hallmarked by the Assay Office in Dublin Castle. Men's sizes 9-13 (including half sizes)Measures approx. 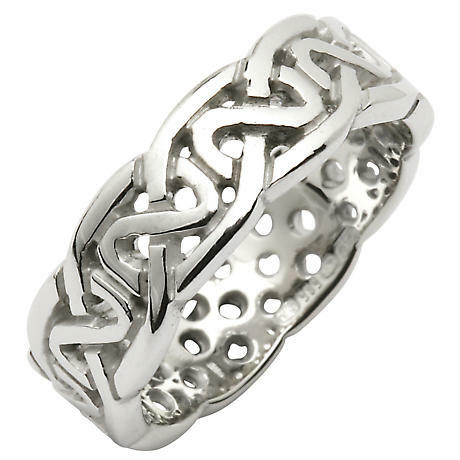 6.5mm wide This ring is made to order. Please allow approx. 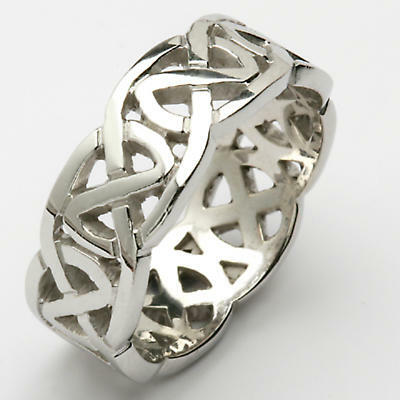 10-14 working days for this ring to be completed.